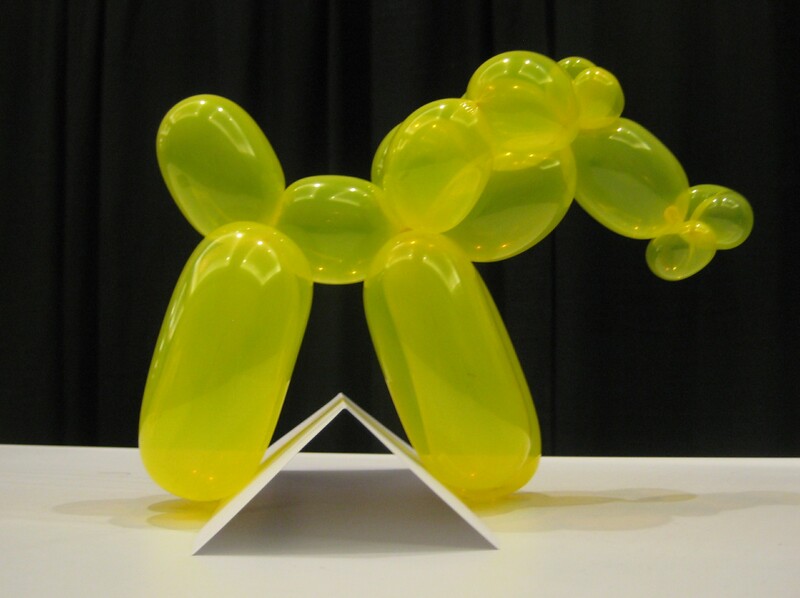 Another guest at APF was Dr. Osborn, a balloon artist who ran around the convention making astounding sculptures on request, everything from a Ghostbusters’s proton pack to a T. Rex skeleton. For Rodney’s Saga, he made a horse. He told me it was free but I had to clean up after it. Air bubbles? It’s yellow to match my LEGO crown. Yes, I spent the Festival as a LEGO princess*. People took my picture! At Cons, asking to take a picture is a standard costume compliment. 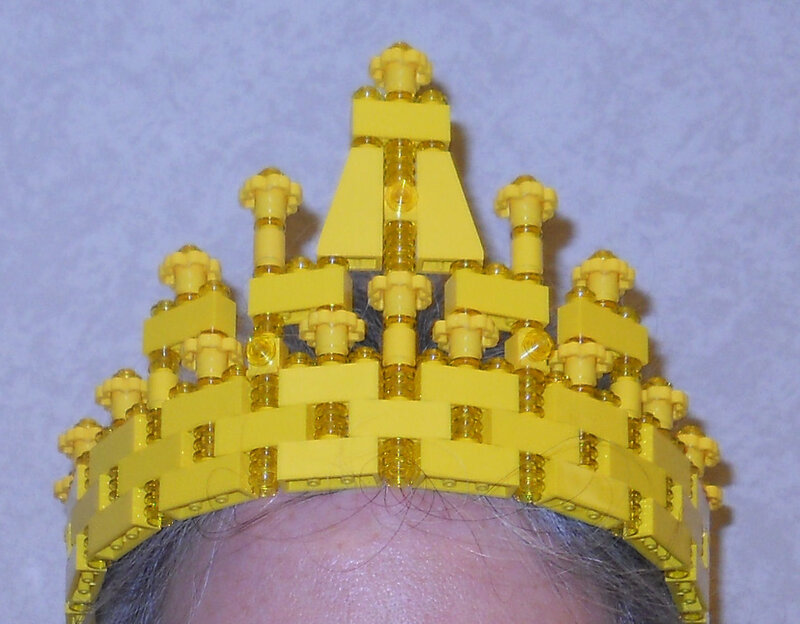 I made sure to credit the LEGO Queen for the crown’s construction, but was still chuffed to be asked to model. What is the coolest, non-standard art form you have ever seen? Balloon critters strike me as the polar opposite of Lego constructions: round and squishy vs. rigid and angular. Strange fit? Or sorely needed? Yes, and yet, the fellow made us a LEGO brick out of balloons, complete with 8 corners & 8 studs. As for sorely needed, props to APF for trying to be more than the standard Science Fiction Con. My bad. Turns out it was a dragon, not a T. Rex. The wings should have been a hint, but it was tired and I was late.